Do you Belong to HIS people? Google Dictionary describes the meaning of “Belong” as the Property of. Often we hear this term.Every Single day when we open the newspaper, we get to hear the news of murders, property theft, dacoity etc. All the news is related to, increasing our belongingness. We are deliberately driving ourselves to increase our belongingness towards such as money, riches etc. 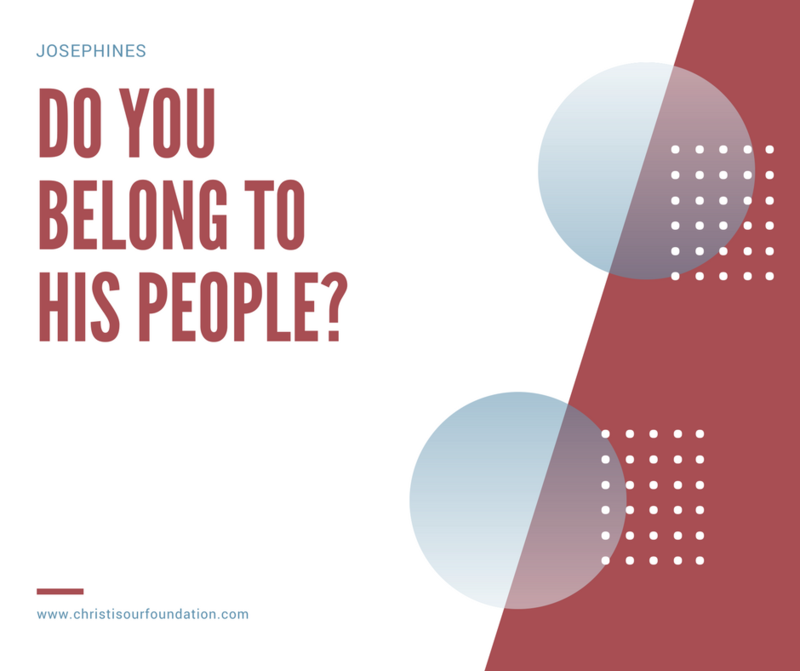 Today, Let me ask each of us with the Question that Whom do we belong to?? Do we belong to the riches, radiance, and party crowned world or Do we belong to the Glory of Christ JESUS? The Beauty of Christian Life is that Christ gives us the free will of choice to decide on Whom do we want to belong to! We have a selection to make which is on a stake. Christian Life is to strive to belong to Christ. The Human Creation by God was to ensure that we belong to the Glory of God. Someone said like this that the most important days of a mankind is, one, the day he is born and the other, the day, where he knows the reason for why he is born. God created you with a purpose of belonging to him. Ephesians mentions that we are God’s Workmanship, God’s Masterpiece! But are we living as God’s masterpiece? Today, Let me highlight Matthew chapter one verse 21. The reason for JESUS’ birth was to save HIS People. God has given us an opportunity to belong to Jesus by believing. The result of Believe in Jesus is not to perish but to have eternal life. Can we decide and live a life worthy of the status of Belonging to Christ to be saved? YES, let’s shout aloud that I belong to JESUS.